Our most advanced security suite adds military-grade data shredding and automatic software updates in addition to antivirus, firewall, and Home Network Security. avast! is only the most trusted name in antivirus, actively protecting more than 200 million PCs, Macs and Androids. Hackers love to exploit old software. It’s the weakest link in most people’s security. 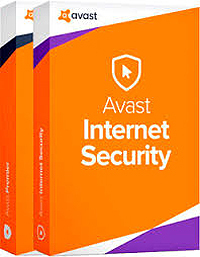 Avast Premier automates software updating so you don’t have to think about it. You need at least Windows XP (with SP2) installed. Windows Vista, 7, 8, and even 8.1 are fully supported (unless your device runs the Starter or RT edition) in both the 32- and 64-bit variant. A 10-year old Pentium 3 processor will do, with 128 MB RAM and 2 GB of hard-drive space. And now imagine the stellar performance with your new hardware!